In New Jersey, strict liability is imposed on the owners of dogs and other animals that bite and seriously injure others. There is no such thing as a “one-bite rule” where if the animal in question hasn’t bitten someone before, the owner isn’t liable. It doesn’t exist. In New Jersey, there are no free bites when animals attack. At Brady, Brady & Reilly, we represent individuals and families in northeastern New Jersey who have suffered serious injuries and other losses as the result of negligent dog owners. If you or someone you love has recently suffered a serious dog bite injury — we encourage you to put more than three decades of trial experience on your side by calling or contacting our firm today for a free consultation. Whatever type of dog bite injury is involved, it is important to recognize that New Jersey’s strict liability laws are not a guarantee that you will recover. For instance, a dog owner may try to claim that you were trespassing at the time of the incident or that you intentionally tried to agitate the dog in some way. Without experienced lawyers representing you, they may succeed. In other situations, the dog may be owned by someone who doesn’t carry homeowners insurance. When this occurs, victims can still sue the dog owner but will generally not recover much in the way of compensation. In these cases, victims may be able to obtain medical coverage through their own homeowners or health insurance policy. Where there is insurance coverage, you can rest assured that our lawyers will spare no effort or resource to ensure the maximum possible compensation possible for you and your family. 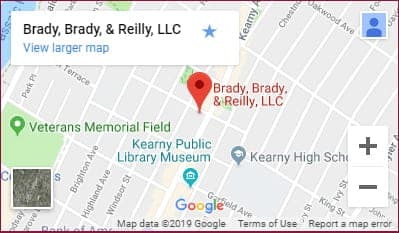 For a free consultation regarding your dog bite injuries — call our Kearny, New Jersey law offices directly or feel free to contact us online as well.